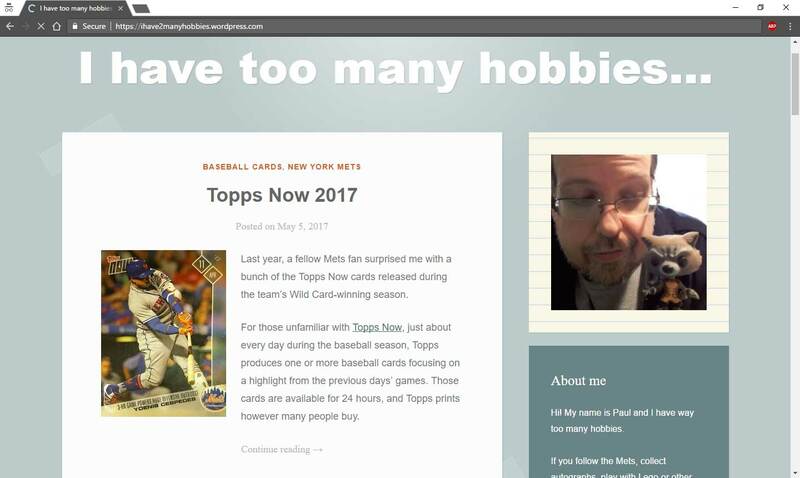 Each year I look forward to the odd inclusions that make Topps Allen and Ginter a great set to collect from year to year. 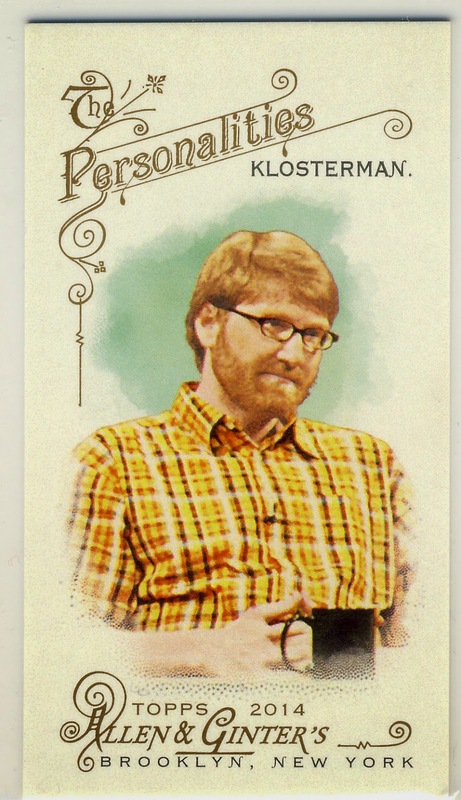 This year's non-sport include one of my favorite author/review/commentator/podcast guest, Chuck Klosterman. 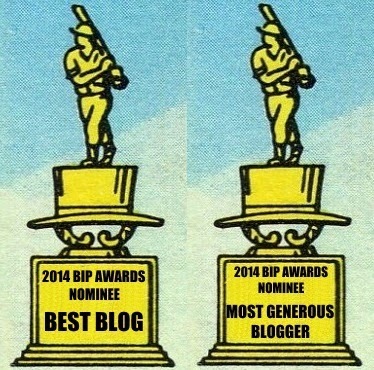 He's written eight books but I will always think of him as a sometimes infuriating but always memorable Spin Magazine columnist. 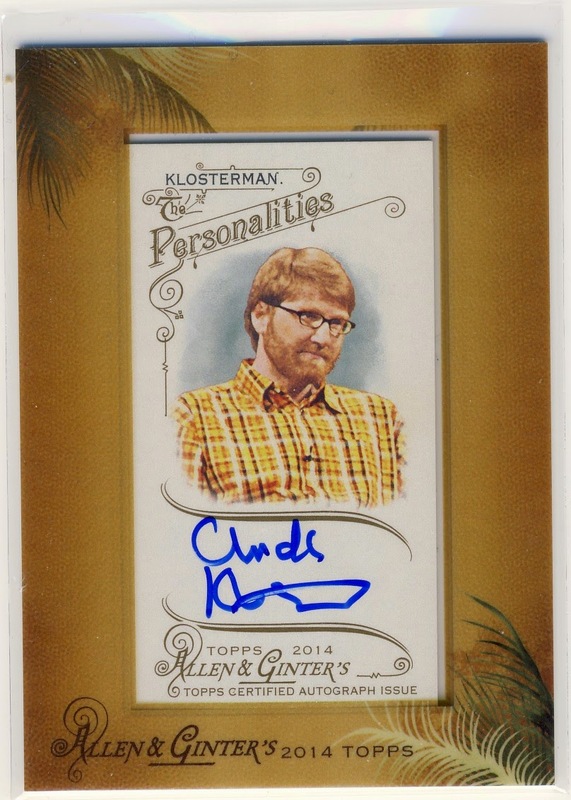 We'll start with the autograph mini card which I love just because it's a Chuck Klosterman autograph card. But if I was to be objective unless Chuck has really sloppy handwriting he could have taken a little more time in signing his cards. 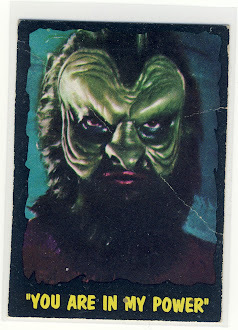 Although this looks like a blah swatch, the shirt Chuck gave Topps did have some cool patches [if they are patches...I guess they could be be just color changes in the fabric]. And of course the minis which have several variations that I'll be tracking down...and by the way I really enjoyed the 2014 Ginter design. 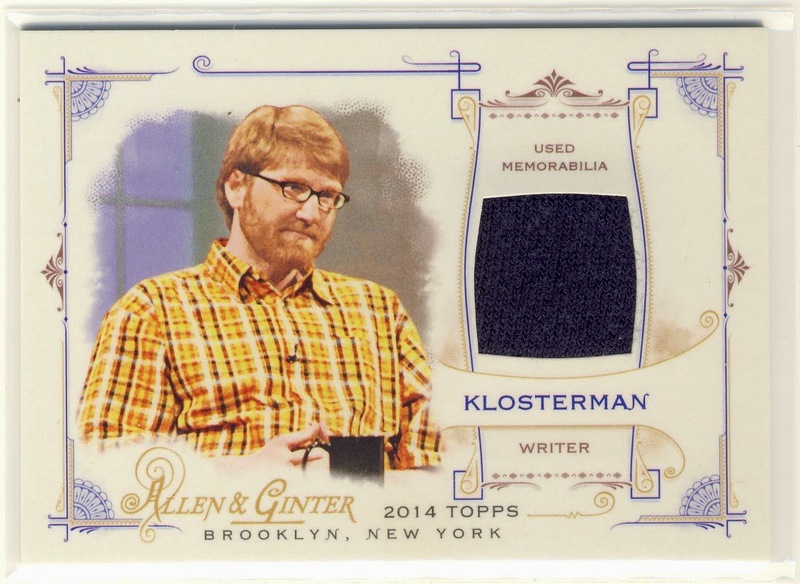 Shouldn't Klosterman used memorabilia be typewriter keys or laptop plastic?